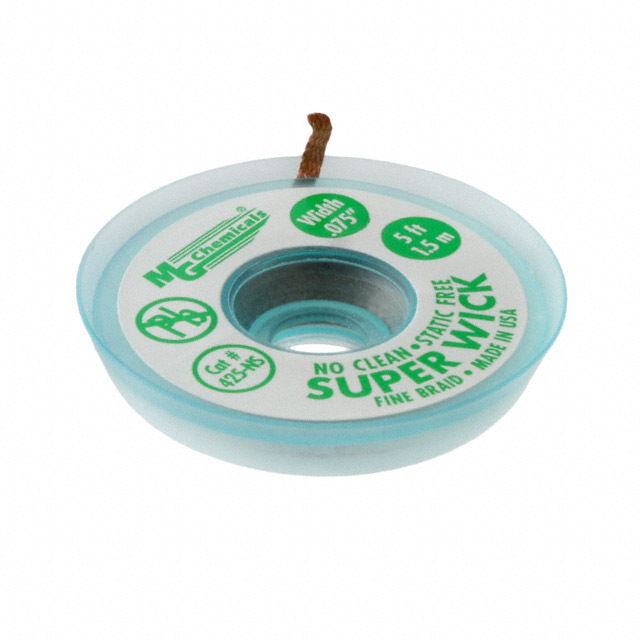 MG Chemicals 426-NS 2.5mm No Clean Desoldering Super Braid Wick is a high quality, precision cleaned desoldering braid that were produced with up-to-date and environmentally friendly processes and technology. 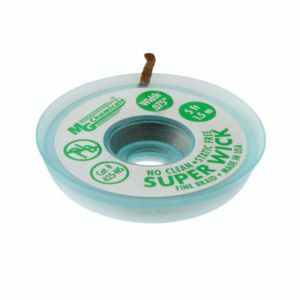 The MG Chemicals 426-NS No Clean Super Wick Desoldering Braid high purity copper conducts heat fast, allowing for faster wicking and shorter dwell time that minimizes possible overheating damages. MG Chemicals 426-NS can be purchased in singles or 10 pack. Select amount above. 426-NS is Suitable for Use in Food Facilities as a Non-Food Chemical - Canadian and NFS recognition letters available on request. 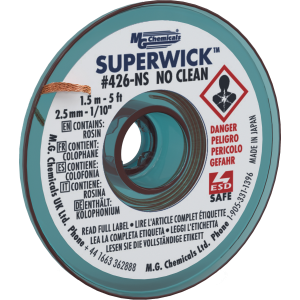 Purchase MG Chemicals 426-NS No Clean Desoldering Braid from Howard Electronics Today! Save 14% Xytronic 44-915415 1.5mm Desoldering Tip.